Here’s another occasional entry from the book I’m writing called “The Journey: A Traveling Companion through the New Testament.” It’s from the book of Galatians. Enjoy. That story reminds me of Galatians 2:1-10. Paul was called to preach to the Gentiles, which was a diversion from the original outreach, i.e., going to the Jews. And there was that issue about circumcision. (Should the Gentile converts be circumcised like the Jews?) It was awkward. So, with fear and trepidation, Paul visited the pillars of the Church. Would he be accepted? Some things are so important. Keeping our yards looking nice. Remembering the poor. Treating each other with deep respect. Which reminds me of another story. 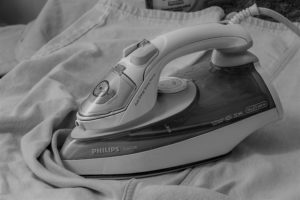 My friend Judy tells about watching her husband iron his shirt. He was using the big end of the ironing board. She pointed out that you’re “supposed” to use the small end of the ironing board. Then he pointed out the merits of the big end. They laughed and realized that neither end was wrong, just different. Some things ARE wrong, but I think we should differentiate between what’s wrong and what’s just different. Race, gender, some aspects of politics—there’s such lovely diversity in these things, and in our polarized times, it’s important to unite as often as we can. So hey, if you use that other end of the ironing board, it’s fine with me.